Our yearly tarot card or the symbol of growth tells us what prerequisites we have and what is in stock for our personality in the upcoming year. 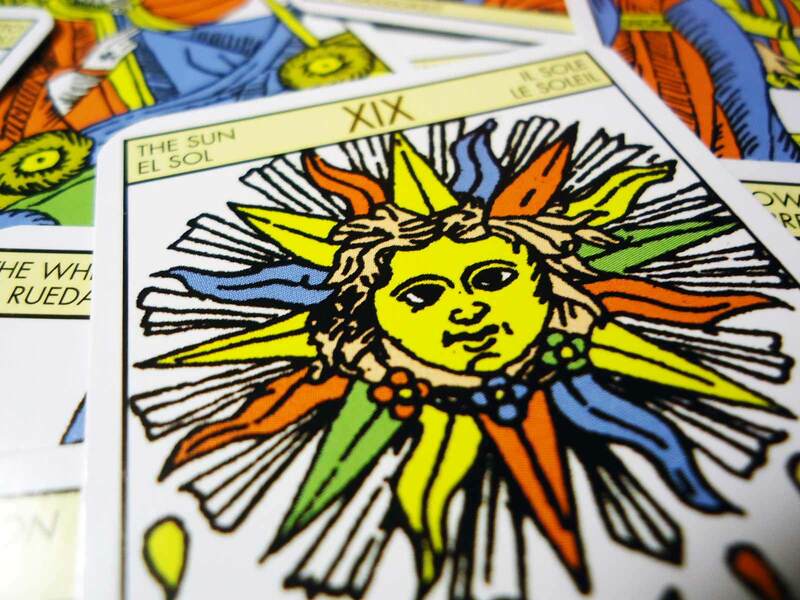 As we use our day and month of birth for the calculation of the yearly tarot card, the growth year must be taken from birthday to birthday, not from the beginning until the end of the calendar year. The Fool and the Magician are universal principles and are used as permanent sources. The Fool as a spiritual symbol of courage and the Magician symbolises the ability to communicate and to learn a language. Therefore they are not included in the symbols of growth. During the growth cycle, i.e. several consecutive years, we find out that the numbers are successive, following a breakthrough. Where such a change in succession occurs, one growth cycle ends and a new one begins. Such a year is usually a transition period when everything ends to prepare for new beginnings. Calculation To find out your growth symbol for the given year, add up the day and month of your birth, then add the year of your last birthday (it doesn't always match the calendar year). Write the numbers below each other. Note: if the two-digit number equals or is lower than 21, that is your life number, it is the end of adding up.